The best Sunday bag with a stand is Burton’s ULT. 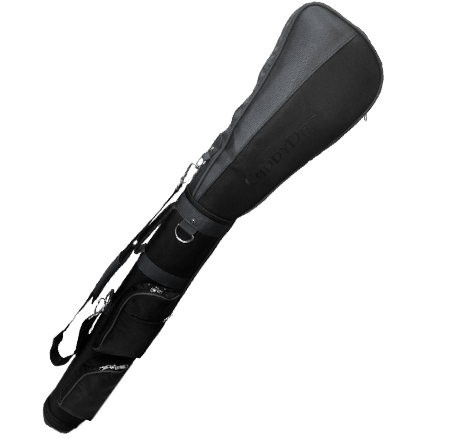 It’s surprisingly lightweight for its size and offers a good bit of what you’d expect from a quality stand bag. Our top pick from the traditional Pencil category, The PING Moonlite offers a unique set of features that place it ahead of the rest. 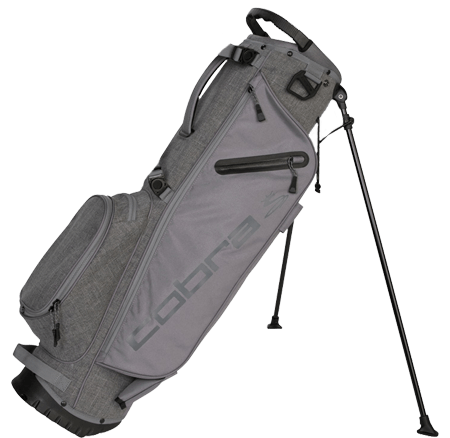 The Cobra Ultralight is the perfect blend of a pencil and stand bags. 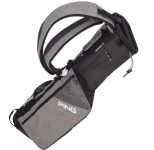 Small dividers provide versatility, while a well balanced strap system prevents clubs from falling out while walking. 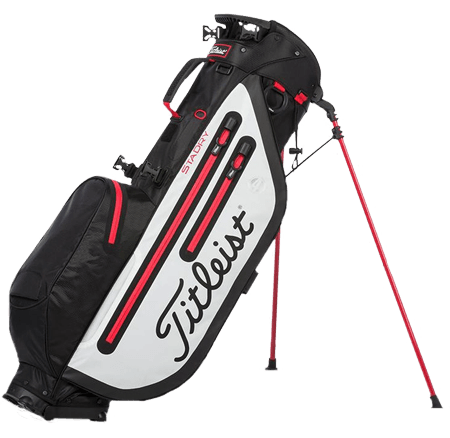 The Titleist Players 4 is larger than a traditional Sunday bag, but smaller than a typical stand bag. While that means it doesn’t fit perfectly in either category, it may offer perfect blend of both. The Mizuno BR-D2 offers a unique take on the Sunday category. Two dividers offer some storage versatility, while a limited height stand keeps your bag (and clubs) off the ground. What exactly is a Sunday Bag? 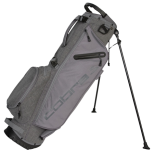 Once upon a time, the category was limited to small and often unstructured bags with enough room for a handful of clubs and not much else. While traditionalists are free to argue otherwise, that’s not the case anymore. With the emergence of lighter materials, bag manufacturers have taken it upon themselves to overhaul, and redefine the category to the degree that it has become the broadest of all bag categories. These aren’t your grandpa’s Sunday bags. Ironically enough, those same material advancements may have all but eliminated the need for traditional Sunday bags entirely. There’s a case to be made that, short of posing for a stylish black and white photo so you can reflect fondly on how things used to be, or you are intent on putting form over function, there isn’t any practical need to go the minimalist route. Today’s Sunday bag offerings are lighter and significantly more functional than those of yesteryear. The bags we tested run the gamut from almost entirely unstructured material that collapses on itself, to the classic tube design, to fully (or nearly fully) functional, ultralightweight stand bags. For better or worse, the category is almost whatever you want it to be. So, whether you’re looking to buy a new Sunday bag today, are looking for some buying advice, or just want a closer look at what’s on the market right now, this guide will help you find the right bag to fit your needs. While storage isn’t as important in a Sunday bag, it shouldn’t be overlooked completely. A pocket that fits a jacket to keep you warm when the sun dips below the trees come in handy. Even if you choose the minimalist route, make sure there’s enough space to carry the essentials. In the Sunday Bag category, dividers are a matter of preference. Some bags have a single tube to hold everything, while others have 5 dividers, to give the Sunday bag nearly the versatility of a modern stand bag. While it sounds obvious enough, do forget that comfort is a huge part of carrying. 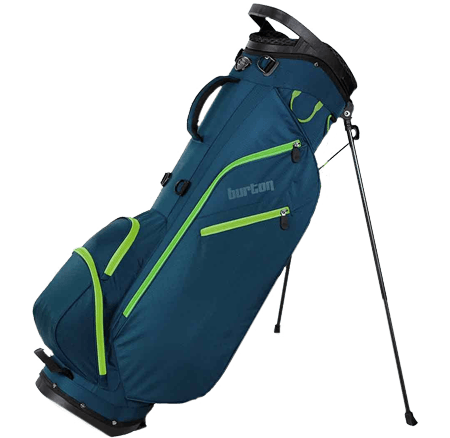 Nearly every bag is comfortable on your back when it’s empty, but you need to consider how the bag feels when it’s filled (or partially filled) with clubs. Simply put, the bag needs to feel as good on your back as it looks on the ground. Your bag should never get in the way of walking 18 or even 36. Hand-in-hand with comfort, weight is a critical consideration for the walking golfer. 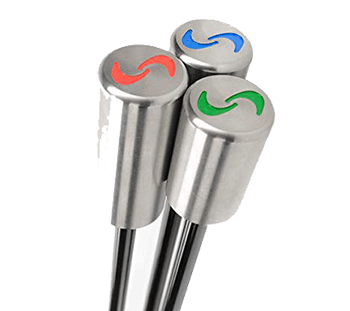 While a single pound might not sound like much, the extra mass can dramatically affect fatigue levels throughout a round. A little extra weight can mean the difference between finishing strong or leaking oil on the back 9. The purpose of a Sunday bag is (or at least it was), to give you the means to carry just a handful of clubs for a quick 9, or 6, or whatever you can get in before the sun sets on the weekend. While the definition of the Sunday bag has evolved, comfort while carrying remains supremely important. Whatever design you choose, make sure there's nothing that digs into your back or otherwise causes discomfort when carrying. If not for unencumbered enjoyment of the game, what's the purpose? If you’re considering a traditional pencil or unstructured bag, look for a waterproof material on the bottom of the bag to prevent moisture seeping up and through. Conversely, if your bag is almost always on your back, fatigue can be an issue. Consider forgoing all but the minimum storage space necessary in favor of a lighter and often more comfortable bag. Well-designed zippers can be your best friend when the bag is on your back the majority of the time. Look for a bag that has zippers which open and close easily with one hand and without snagging. For those looking for the benefits of a stand while still saving some weight, the Mizuno BR-D2 warrants consideration. 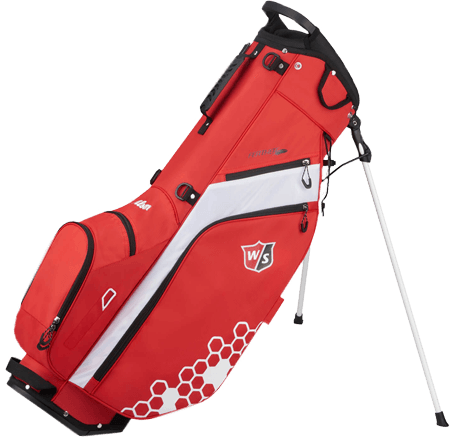 The bag boasts a compact, mini, half-length (give or take) stand that keeps your club and bag off the ground. 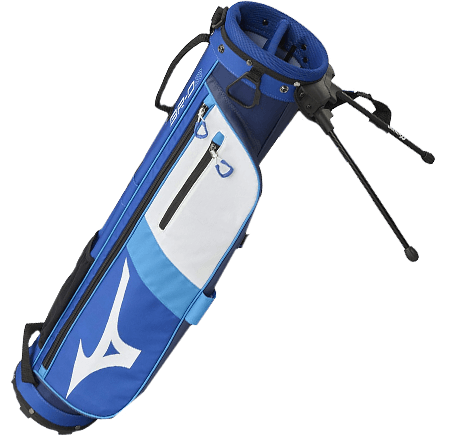 The lightweight design along with the added functionality of the stand system makes the Mizuno BR-D2 a compelling option for golfers chasing the setting sun. Q: What is a Sunday Bag? 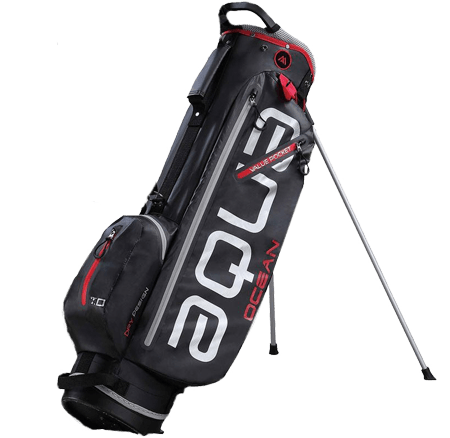 A: Once upon a time, the Sunday bag was defined as a compact, easy-carrying bag, with just enough room for the bare essentials; often less than the full 14 clubs. 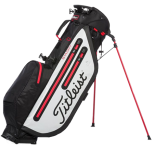 The modern interpretation includes those traditional offerings, as well as slimmed-down stand bags that maintain a compact footprint while offering greater functionality. Q: How do I know what type of Sunday bag to buy? A: The Sunday bag category is exceptionally broad. If you’re looking to sneak in a few holes as the sun is setting, go small. If you plan on carrying 14 clubs, bags with dividers and stands are more versatile. With modern materials, most of the extra weight coming from what you put into them. Q: How much does the strap system matter? 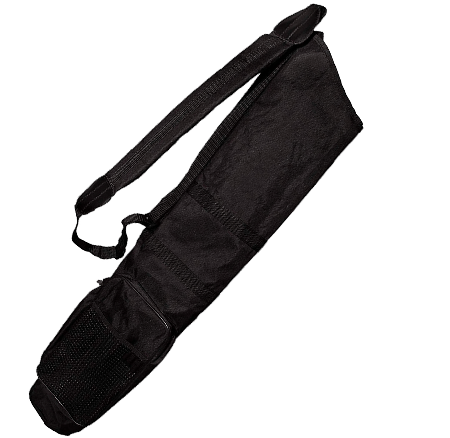 A: If you’re going to carry regularly, finding a strap system that works for you is mission critical. The seemingly smallest details matter. Look for straps with ample padding. Curved designs are generally more comfortable. When possible, you should test the strap system with the bag fully loaded to see if it’s a good fit for your body. Q: Should I buy a bag from one of the big equipment brands? No real comment, but a question for the readership. Why don’t more golfers like to walk? I always prefer walking. Why don’t more folks walk? Harder to haul their fat asses around while carrying a twelve pack of beer. No Nike? My Nike stand bag is 20 yrs old, still used when I walk. 8 dividers, 3 pockets + balls & drink. Padding on body side, great adj straps. 3 lb. I would check what they offer now. Several nice bags in the survey. Umm Nike is out of the bag business. They haven’t made a bag in 4 years. LoL…keeping up with the times. Maybe he’ll loan his bag for this test and we can find one used on eBay?!? I have a Ping Sunday Bag I bought over 20 years ago. 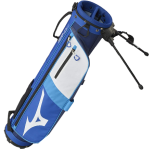 All clubs go in a single opening, the ball pouch holds 3-4 balls, the pocket holds a windbreaker and my zipper bag with tees and a few balls. 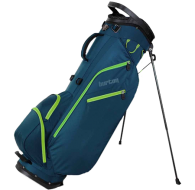 It has one strap, is meant for 6-7 clubs, weighs less than 1 lb, is absolutely perfect to walk 9, and cost $30-$40 new. Wish they still made it! Absolutely hate the double straps! I still have two of them. New one is like 150! Sunday bags don’t have stands. Really? 16 whole hours of research and 3 “experts” consulted? 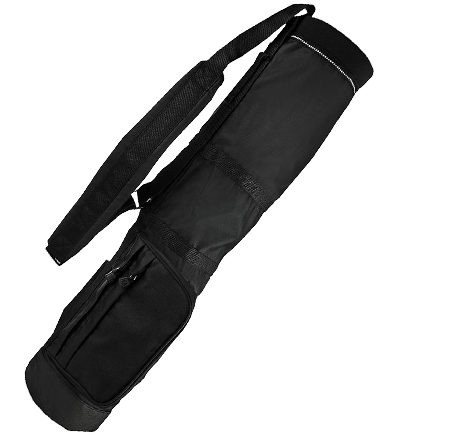 Most not really “sunday” bags but lightweight stand bags. Bought a Wilson Staff sunday bag last fall. 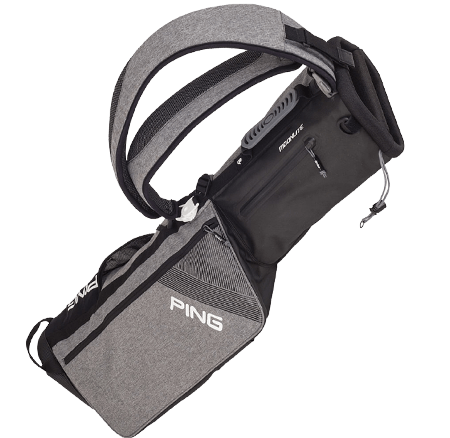 2.4 pounds, 2 pockets and beverage pocket, holds 14 clubs, double straps and has legs. Better than all of these as a “Sunday” bag. A 4 pound or greater bag is not a Sunday bag. wtf… If you’re including those behemoths, you should have included the Sun Mountain 2.5. Might as well get the sun mountain 2.5. Lighter and holds more than all of these. Please disgregard and discard my comment. I missed the obvious: all bags reviewed were Stand bags. Sorry. Interesting. 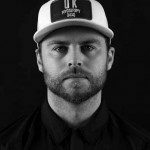 Maybe I missed it, but I was suprised there was no mention of Jones, Stitch or Seamus as all three companies have been in the market for awhile, albeit on the higher or much higher end of the price spectrum. Still, considering their “devotees” I was surprised they were excluded. How do you do this test without the SunMountain 2.5+ if you are going to include stand bags…A 4 pound stand bag wins because it’s not a Sunday bag.